The new French Handbook is simply the biggest, most up-to-date and detailed book on French Bulldogs. It’s the only reference book you’ll ever need and suitable for new owners, prospective owners and anyone thinking of rescuing a Frenchie. The 250 pages are packed full of information and tips on everything you’ll ever need to know about caring for and training one of these highly affectionate and entertaining dogs. 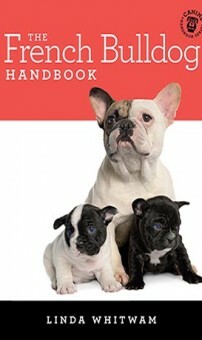 This handbook has over 200 pictures and is written in an easy-to-understand manner by specialist canine author Linda Whitwam, with major contributions from leading French Bulldog organisations and breeders. How to Find a Good Breeder, The Questions to Ask, How to Spot an Importer or Puppy Broker, How to Pick a Healthy Puppy or Adult Dog, French Bulldog Temperament, How to Pick a Puppy With the Right Temperament to Suit You, Puppy Proofing Your Home. Once you bring your Frenchie home, the book guides you through the first days and weeks, and covers Housetraining, Crate Training, Obedience Training, How to Socialise your Dog. You’ll learn the habits and situations to avoid and how to deal with behaviour problems. There are over 20 pages on Feeding a Frenchie, with all the options explained – including a Raw Diet, an increasingly popular choice for owners of Frenchies, especially those with allergies. There are also Feeding Charts, Calorie Counters, Feeding Puppies, How to Read Dog Food Labels, Feeding Senior Dogs. More than 60 pages are devoted to French Bulldog Health, Skin and Allergies with details of tried and tested medical and holistic treatments. The advice in this book could save you a fortune in vets’ bills – not only by helping you to choose a healthy puppy or adult dog, but you’ll also learn about Keeping your Frenchie Healthy, Getting a Rescue Dog, Understanding Your Dog’s Personality, the Frenchie Facts of Life, Spaying, Neutering, Vaccinations, Worming and De-fleaing, Grooming, Caring for Older Dogs – they are all here. The French Bulldog, like a lot of brachycephalic (flat-faced) breeds, is a special breed requiring extra special care from their humans. This book will arm you with all the knowledge you’ll ever need for the challenge of owning one of these highly rewarding and lovable dogs. A Contemporary Interpretation of the Words of Nicholas Herman (Brother Lawrence). 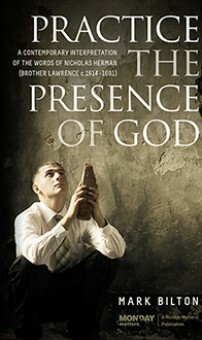 ‘The Practice of the Presence of God’ is a venerated collection of conversations and letters that capture the wisdom of Nicholas Herman (Brother Lawrence). This fresh contemporary version will reach a new generation with his much-needed message. The message is simple yet utterly profound. The discipline of being aware of God’s presence and serving in utter reliance on Him is the core of what it means to be a follower of Jesus. God has a plan and a purpose for your life; without exception, we are all anointed and appointed for a specific vocation. 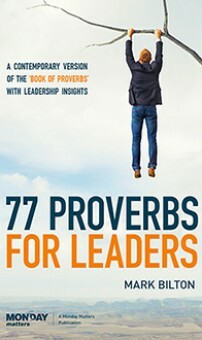 Take the simple message in this book and apply it to your life. You will find God in the midst of the exciting and mundane. Chief People Officer, EmployBridge USA, International Speaker and Author of ‘Business as Mission’. Haunted by the brutal murder of his UN interpreter wife in Bosnia, an ex-SAS soldier promises to track down the culprits and avenge her killing. But as the trail goes cold, he spends more money than he has on the search and hits the bottle in his sheer desperation. Just when his life is going into meltdown, a former colleague tells him one of the killers is in London – and there’s already a contract out for the man’s assassination. 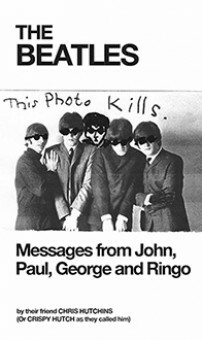 Would he be willing to pull the trigger? What he cannot know is the elaborate game of bluff and counter-bluff being played out in Europe for the biggest stakes imaginable. There are high-ranking officials and politicians who have a vested interest in his failure and disappearance. So begins his dangerous journey into the dark heart of modern Europe, where he finds himself in deadly conflict with the new mafias and the unaccountable security apparatus of an emerging super-state. At the centre of everything is a secret act of national betrayal that is as shocking as it is unexpected. All that is required to bring it to fruition is to silence one man. Unluckily for those architects of treason, that man is in no mood to compromise. The Second Half of Your Life: Released to coincide with the new mass market paperback edition. This new imprint has been completely revised and updated with new chapters added. The Second Half of Your Life has been heralded as ‘one of the most important women’s books for a decade’, ‘groundbreaking’, ‘inspirational’ and ‘the manual for women in the second half of their life’. The Second Half of Your Life will inspire women to rethink what it means to grow older. Based on the science of hormones, her extensive research and interviews, Jill Shaw Ruddock provides prescriptive advice on how to use the biological changes that occur around menopause to help make the second half of life, the best half. Providing practical hands-on advice on how to harness the power of the oestrogen-free mind to make the most of new opportunities, Ruddock covers everything from dating to divorce, exercise to eating, the libido to looking your best and money to the mind. Both of the seminars in this book address the theme of ‘orientation’, offering the reader a profound but accessible interpretation of the structure and the ‘spinal column’ of the horoscope. The four angles – Ascendant, Descendant, MC and IC – reflect the horizon and meridian at the moment of birth, and symbolise the ‘cross of matter’ into which we are born. They describe our participation in external reality, and also clarify how the subtle patterns of belief, attitude and circumstance affect our inner sense of orientation. Each angle is described separately, in terms of the element and mode, and the meaning of the houses which flank it. Transits are also considered, and there is a guided imagery process where the individual horoscope placements are explored. The axis of the Moon’s Nodes represents an arc of meaning along which the activities of ‘being’ and ‘doing’ are balanced, over and over again. Our ability to let go of the past is tested, and we embrace the future from the vantage point of the eternal ‘now’. This section reviews familiar material, and also offers a number of approaches to the Nodes which the reader will not find elsewhere. 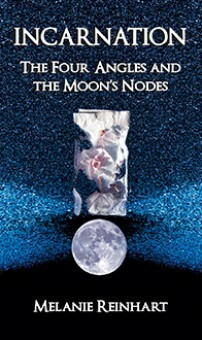 There is a review of the Nodes as placed in the six pairs of opposite signs, plus a questionnaire for readers to consider their own Nodes. This book includes astronomical and psychological material, presented in a lively seminar format which will expand the understanding of beginners and experienced astrologers alike.